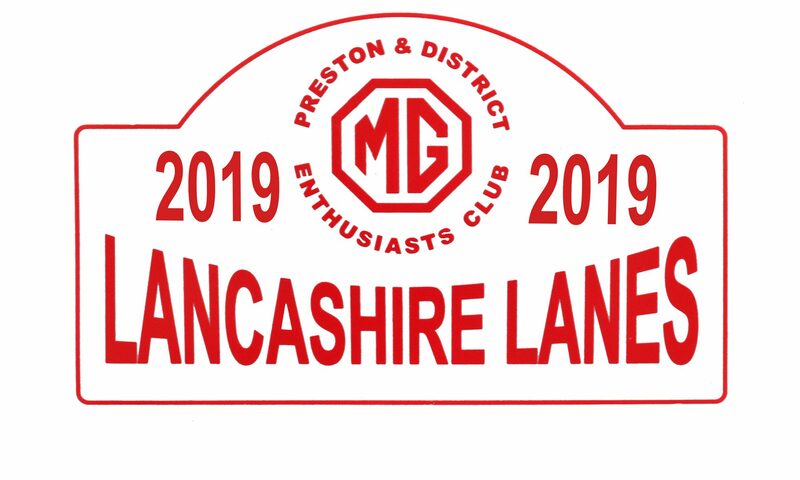 During 2005 the club celebrated this anniversary in many ways, one of which was to lay on a lunch for some 40 club members at the Classic Car event at Capesthorne Hall. The photo below shows our club stand complete with outdoor restaurant and the article below that was written by one of our club members come food critic. We were warned to book well in advance and it was just as well we did so. We also explained my dining companion’s intolerance to wheat and dairy and were told a member of staff had a similar problem and therefore it wouldn’t be any trouble. On arrival we were met by a very efficient car park attendant who set the tone for the rest of the occasion. Because of the hot and glorious weather we were asked if we would like to dine in the garden. 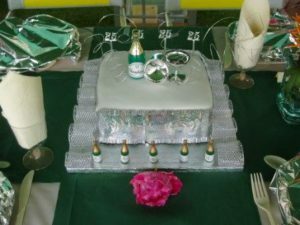 This we were happy to do especially as the menu had been chosen to suit such an event. We started with a rather toothsome Brussels pate with salad garnish and toast, accompanied by a tomato chutney that was the perfect foil for the pate and if I didn’t know better I would have thought home-made. The main course was a platter of mixed meats consisting of several thick slices of beef which had obviously come from a very contented cow, a moist piece of ham, several pieces of chicken that had been cooked coated with herbs and last but not least a miniature pork pie. Having some Wigan blood in my veins I feel competent to pass judgement on anything concerning pies and I can honestly say that this one was of the highest order, moist succulent pork held inside a beautifully firm crusty pastry. The salad accompaniment took me back to my childhood when no salad was complete without a boiled egg. I overheard a fellow diner complaining about the lack of salad-cream but you can’t suit everyone!! We left the wine choice to the sommelier who produced a couple of rather acceptable bottles, a “tartan red” and an “old English white” cooled to perfection. Whilst it’s normal practice for the sommelier to taste if the wine is up to standard after removing the cork we’ve never seen one checking after each glass he poured!! But it was hot and no doubt thirsty work. I was brought up in the old school that said if you didn’t finish one course you couldn’t have the next, a lesson I seem unable to forget. My fellow diners obviously had had a less strict upbringing judging from their plates, and had left plenty of room for the sherry trifle. Being the professional that I am and not wanting to let you the reader down I pressed on. And I didn’t regret it. A sherry trifle to die for with the emphasis on the sherry! So, sit back, relax, finish off the wine and round the meal off with a cup of coffee. “Excuse me but would Sir like a piece of birthday cake to celebrate our 25th year in existence? I have to warn you that the cook’s worried that it might be a little overdone and dry”. As I said, being the professional….Dry! Dry! How can anything be dry with all that spirit soaked fruit in it? I can’t comment on the icing and marzipan as my dining companion swiftly removed it from my plate onto hers!